Natives of New York, Ann and Lee Higdon developed an interest in art during their teenage years. They often visited museums and found themselves drawn to paintings of the Hudson River School. After marrying and purchasing a nineteenth-century home overlooking the Hudson, they began to collect paintings of the Hudson River School in the 1980s. For nearly forty years, their interest in this artistic period has endured, resulting in the collection of works on view in this exhibition. In the late eighteenth and early nineteenth centuries, American artists looked to Europe for both aesthetic themes and painterly methods of depicting the world around them. 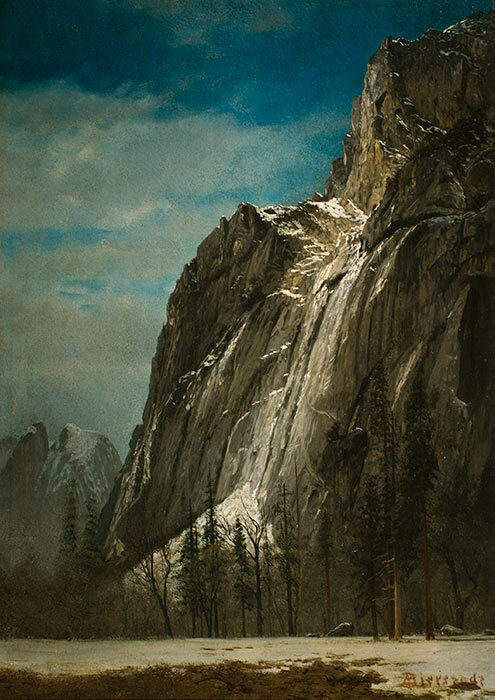 This began to change in the early decades of the nineteenth century as artists adapted European aesthetics to develop a distinctly American landscape narrative. 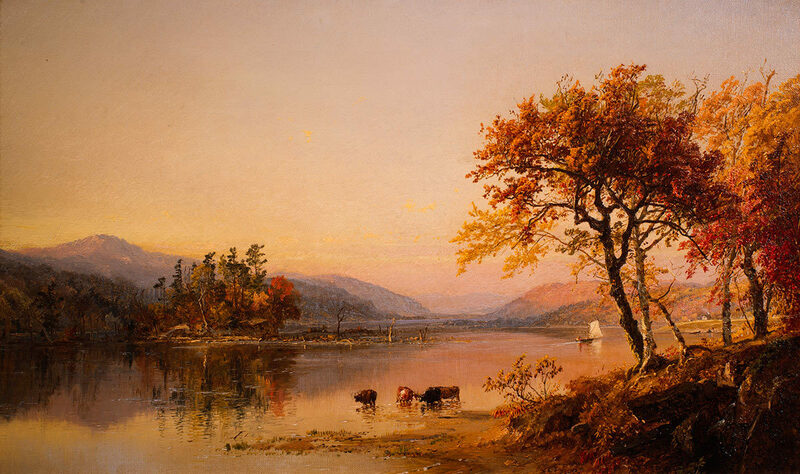 The name Hudson River School, originally intended to be disparaging, was coined to identify a group of landscape artists living in New York City, several of whom built homes on the Hudson River. The term has evolved beyond regional expression and is now generally accepted to describe nineteenth-century American landscape painting. Painting a Nation: Hudson River School Landscapes from the Higdon Collection features significant American artists from the Hudson River School, including Albert Bierstadt, William Bradford, Jasper Francis Cropsey, William Hart, William Trost Richards and many others. 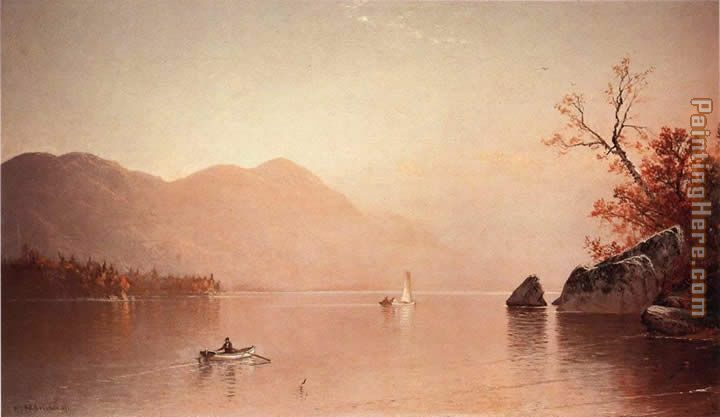 The majority of the works depict scenes of New York State and include paintings of the Hudson River, Lake George and the Adirondack Mountains region. 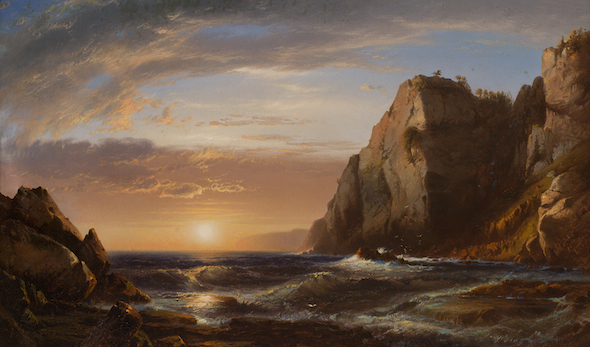 Often these artists were inspired by stories of exploration, and Sunrise at Grand Manan by William Hart illustrates the dramatic beauty of New Brunswick, Canada’s coastline. The crashing sea is framed by a rocky shoreline as the sun rises over the ocean with its golden hues drawing the viewer’s eye deep into the setting. The viewer is alone and enveloped by the beauty of nature. 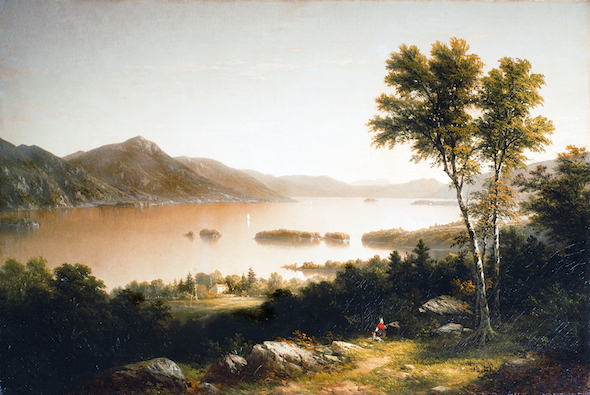 Together, these paintings celebrate the picturesque beauty of our nation and reflect the collective desire of the Hudson River painters to develop a uniquely American visual language, independent of European schools of painting. Assembled with a discerning eye for quality, the Higdon Collection includes superb examples of Hudson River School paintings, the first native school of painting in the United States.